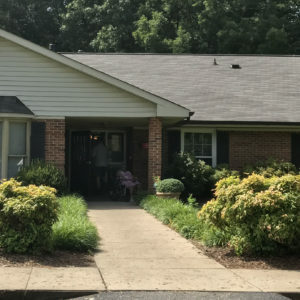 Adult care homes in North Carolina provide housing to large numbers of people with mental illness and physical disabilities, and these facilities face legal requirements to provide adequate supervision, nutrition, medical care and safe facility conditions. A regimen of county and state inspections monitor the quality and safety of these facilities. 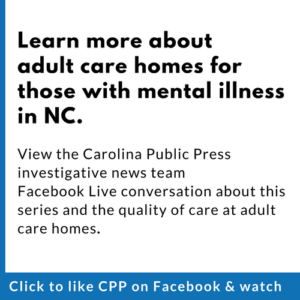 For the past six months, Carolina Public Press has reviewed inspection records for each of the approximately 1,200 adult care homes in North Carolina. The smallest facilities can house six residents, while the largest may have 150 or more. 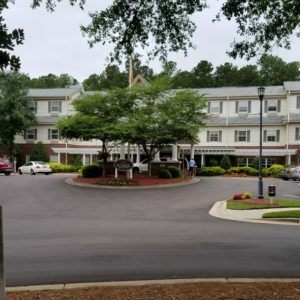 In reviewing three years of total monetary penalties issued to adult care homes across the state’s 100 counties — as a part of an investigative reporting series on housing issues faced by those living with mental illness — a Carolina Public Press analysis shows that the facilities listed below had the highest fines (as of June 30, 2017). When inspectors find problems, they issue plans to correct those issues. The N.C. Division of Health Service Regulation may decide that financial penalties are also appropriate, especially in egregious cases or those in which a facility has repeatedly failed to follow through with a plan to fix problems. 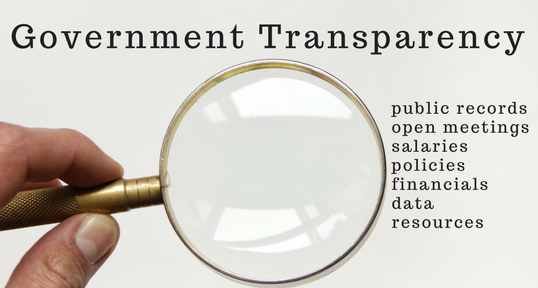 Carolina Public Press also analyzed the effectiveness of this inspections process. Some adult care homes appeal some fines. In cases where an appeal or settlement reduced a fine, or where delayed payments increased the total amount due, the latest amount available was used. In cases where an appeal is pending, the original amount is used. It is possible that some of these amounts will be adjusted through appeal or settlement following publication of this report. Carolina Public Press reached out to every facility listed here that remains open. None responded to requests for comment. Aurora of Statesville, was fined $43,500 in December 2014 for violations related to medication administration for two residents. The 80-bed facility, located on a residential street in Statesville, paid nearly $45,000 in the case, and made a final payment in 2015. Earlier in 2014, the facility was also fined $2,000 for failing to administer medication for a resident in accordance with a doctor’s orders. That issue went unresolved, which led to the December penalty. Since the time of those penalties, Aurora of Statesville has been listed as either a one- or zero-star facility. The facility was cited twice for medication management issues during the state’s 2015 annual inspection, which, among other issues, led to a zero-star rating. Prior to the three-year period that CPP looked at for penalties, a complaint investigation led the state to suspend Aurora’s ability to admit new residents in January 2011, but the state lifted the suspension in March 2011. Aurora began receiving extra merits in 2012 toward its star rating for several improvement efforts, including adding automatic sprinklers and an emergency power backup system. These helped offset demerits from multiple violations during the same inspections. Brockford Inn in Granite Falls has received and paid six separate financial penalties over the past three years. Granite Falls is a small town in Caldwell County, just north of Hickory. The 67-bed facility has zero stars in the state’s four-star rating system and has been a zero-star facility since 2015. It was most recently inspected for construction issues on March 22. During that inspection, which regulators perform every two years to evaluate structural issues at facilities, state officials found that concrete steps at Brockford Inn were uneven, water was standing at the base of the stairs and steel handrails attached to the stairs weren’t secured. Regulators also found that emergency lights weren’t working and that an emergency release switch for magnetically locked doors was inaccessible because of filing cabinets placed in front of the switch. The state has not yet issued any fines related to that inspection. The state fined the facility $13,200 in December 2014 for a failure to provide a resident with a thickened liquid diet in accordance with a doctor’s orders. The facility settled that penalty for $8,000 in 2015. Also in 2015, the facility was fined $2,000 for failing “to provide supervision and interventions for two residents with falls resulting in severe facial bruising and hip contusion.” The facility paid the full amount for that penalty. The state fined Brockford Inn $16,000 in April 2016 for two penalties, one for failing to properly supervise residents who were a fall risk and for having beds with unpadded bedrails, and another for not investigating allegations of neglect affecting two residents and “injuries of an unknown source” that appeared on another resident. However, at the same time the state handed down that penalty for those earlier violations, the state lifted a suspension of new resident admissions at Brockford Inn that had been in place since September 2015. The facility also failed to report neglect and injuries to the Health Care Personnel Registry, according to state documents. Brockford Inn was fined $7,000 in June 2016 for failing to provide appropriate supervision to a resident who was suffering from confusion related to a urinary tract infection. The facility’s largest fine for a single violation over the past three years came in January 2017, when regulators penalized Brockford Inn $13,600 for failing to investigate injuries from an unknown source that appeared on a resident, and for failing to report an investigation into verbal abuse of a resident by a staff member. The facility has worked out a payment plan and paid $2,526.50 so far toward this penalty. 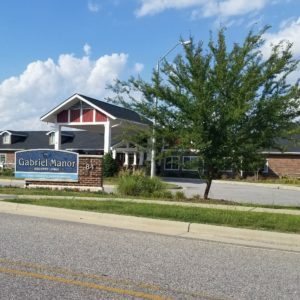 Gabriel Manor Assisted Living Center, which began operations in 2013, sits beside a UNC system medical complex, not far from the main highway connecting to nearby Raleigh. Nearby are newer residential communities. 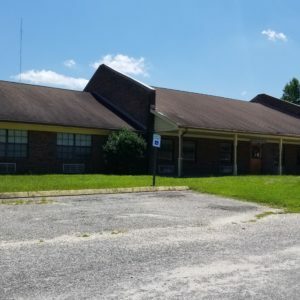 Currently the site operates 77 beds, with zero out of four stars rating and a numerical score of 24.25 out of 100, well below any others in Johnston County. The state issued six separate penalties to the facility on March 18, 2016, all of which were paid on May 3, 2016. Four citations were for $12,000 apiece, with two for $2,000 each. These penalties stemmed from incidents identified during inspections in 2015. The state suspended new admissions to the facility in May 2015, then lifted the suspension in September 2015. The larger fines included citing the facility administrator for not assuring operations to meet state health, safety and residential rights rules. Records shows that the administrator and other supervisors told inspectors they were unaware of some requirements for staffing ratios, nutrition and documentation. The state found that referrals and follow-ups with five residents with infections and head injuries didn’t occur. Failure to notify physicians of serious health issues was also a concern. This included insufficient monitoring of a resident with diabetes, who had to be hospitalized for high blood glucose. The state imposed separate fines for poor documentation of carrying out physicians’ orders for seven residents with serious health concerns. Issues with administering ordered medication affected several residents with problems ranging from allergies and constipation to infection and diabetes. The smaller fines related to inadequate supervision of a resident who experienced falls resulting in emergency room visits and failing to report promptly on an allegation that a staff member shoved a resident down, as well as failing to conduct an investigation of that accusation within five business days. Gabriel Manor’s parent company, Ohio-based Saber Healthcare Group, did not respond to a request for comment prior to publication. The Clayton facility was one of three Saber-owned adult care homes targeted in a 2016 class-action suit. That lawsuit is discussed in more detail below under Franklin Manor, the state’s most penalized facility. 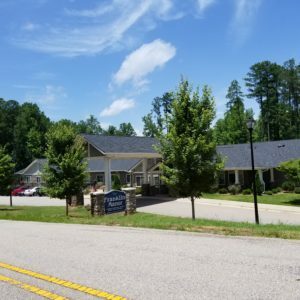 The N.C. Division of Health Service Regulation revoked Clinton House Assisted Living’s license in December 2016, after a series of complaints and investigations that identified deficiencies. Located alongside a public-housing facility on the outskirts of Clinton, the 60-bed facility is padlocked and stands vacant today. After briefly achieving a three-star rating in 2012, intermittent problems had Clinton House operating with between zero and two stars since that time. During its final year it had no stars. A disastrous complaint investigation in December 2016 resulted in its license being revoked and a final rating of zero stars and a subzero numerical score of -65. Previously, the state issued one citation of $4,000 against Clinton House in 2015 for a problem with administering medication to several residents for ailments ranging from liver disease, to seizures and dementia, resulting in multiple hospital visits for one patient. This fine was paid in full, including a late fee, at the end of 2015. Following the facility’s closure, the state issued six additional citations for fines on Feb. 28, 2017, stemming from problems identified during a series of negative reports earlier in 2016, though not from the report that led to its closure. Issues included in these citations included not assisting in feeding a blind resident who has dementia, not ensuring proper disinfection of equipment for 10 patients sharing glucose monitoring and lancing devices, not following up with residents’ physicians, neglecting bed repositioning, not administering prescribed medications and not supervising a resident who had multiple falls and was eventually diagnosed with a subdural hematoma. Other issues were identified later, though no new penalties have been assessed so far. While a change in ownership was underway in 2016, no qualified administrator was on duty. Other qualified staff needed to provide round-the-clock care to the facility’s severely disabled residents were not present in sufficient numbers. The final complaint investigation report in December weighed in at 75 pages, though those findings have not yet resulted in fines. The issues described in that December report include: a staff member physically assaulted a resident causing injuries and was allowed to continue working there; the facility failed to promptly report or investigate known allegations of abuse; nothing was done to protect the personal funds of residents who lacked the cognitive ability to manage their own finances; and improper locking mechanisms and alarms on doors allowed a resident to repeatedly leave without staff being aware. In the case of alleged assault, several witnesses told inspectors that the resident with bipolar disorder became upset with a staff member, whom she attempted to spray with cans of hair spray and bug spray concealed in her walker, then cut with scissors. The staff member knocked the resident down and held her down by her wrists, some witnesses said. The facility waited two days to notify police about the incident, though they are required to report such cases within 24 hours. The resident was later put in jail, where inspectors interviewed her. She said the staff made her scared to say anything. “I was wasn’t the kind of person they wanted to be friends with,” she said, according to the report. “I got angry with the staff a lot and hurt their feelings. The December report noted that this resident had a history of mental illness and was supposed to be receiving mental health services. She used a walker to get around and had limited arm strength. She needed supervision with personal care. In relation to the improper door mechanisms, the inspection found that a resident with severe dementia had repeatedly been found wandering outside the building, including walking in the road toward a busy nearby highway without knowledge of the staff. 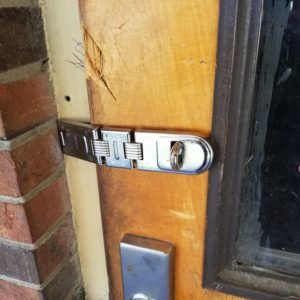 The owners had actually removed the required locks and door alarms several months earlier, for reasons unknown, the report said. The same investigation identified irregularities with the administration of medications including opioid painkillers to residents, with staff not promptly notifying the primary care physician of a need to renew prescriptions. 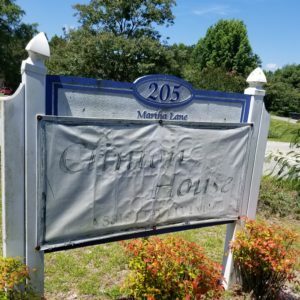 Social services officials in Sampson County talked with Carolina Public Press about their general procedures but would not discuss their handling of the Clinton House case, saying only that they follow the appropriate laws. 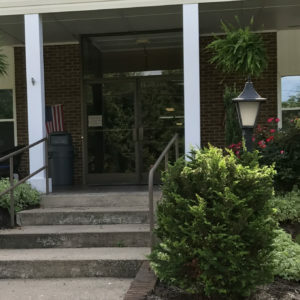 Clare Bridge of Wilmington, which has changed its name to Brookdale Wilmington, was fined in 2014 for issues related to unlocked doors that led to at least two incidents of residents leaving the facility without supervision. According to a 2014 report in the StarNews of Wilmington, a driver saw a resident outside of the facility in October 2013. Clare Bridge was previously cited after a resident escaped from the facility in August 2013. New Hanover County Department of Social Services officials told Carolina Public Press that issues with the facility, which is supposed to be locked, were identified during previous inspections and weren’t corrected, which led to the penalty being listed as an “unabated” issue. After being rechristened Brookdale Wilmington, the 38-bed facility was inspected in June 2017 and received a one-star rating from the state. Regulators found issues with medication management and resident care and services during that inspection, though the state has not yet considered those issues for potential fines. According to documents related to that inspection, which was conducted jointly between the state and New Hanover social services, the facility had lapses in taking residents’ blood pressure in accordance with physician recommendations, failed to adequately treat a resident with an ear infection and hadn’t reported injuries of an unknown origin to a resident to the Health Care Personnel Registry, as required by law. The one-star rating that Brookdale Wilmington received after last month’s inspection is its lowest since at least 2009. A New Outlook of Taylorsville, a 34-bed facility in rural Alexander County, received a $58,000 fine related to a fire that occurred there in December 2014. A resident of the facility set fire to a mattress in the early morning hours, leading to the evacuation of the home. Complicating matters was the absence of both the facility employees who were supposed to be supervising the home’s residents. One staff member had left the facility to go to a nearby store and the other fled from the home when law enforcement arrived because he was wanted on charges of failure to appear in court, according to local media reports at the time of the incident. As described in the first article in this series, emergency responders had to help residents escape and said publicly that the incident would likely have been deadly if they had not arrived quickly. State regulators ultimately found that the facility had failed to adequately supervise two residents with fire-setting tendencies and had also failed to properly administer medications to those residents. The state also cited the facility for the administrator’s failure to be present during the evacuation and for the neglect of the home’s residents during the evacuation. While only the fire led to fines, deficiencies found in August 2013 dropped A New Outlook to zero stars with a suspension of new resident admissions for about two months. After recovering to a one-star rating in October 2013, the investigation following the fire dropped the facility back to zero stars and suspended admissions in December 2014. That second suspension was lifted in March 2015. A New Outlook has maintained its zero-star rating since that time. Essex Manor Assisted Living, a 56-bed adult care home located just outside Louisburg that operated with zero stars for most of its final year of operation, eventually closed in October 2015. Prior to a complaint investigation in early 2015, the facility had three stars and score of 92.5 out of 100, prior to a complaint investigation in early 2015. Its final reported score before closing in October was below 0 on the 100-point scale, at -36.5. According to state records and reports in The Franklin Times, poor conditions at Essex Manor prompted the state to suspend it from accepting further residents in February 2015. But the state later found that the facility violated that agreement in July 2015. As a result, operators agreed to surrender their license rather than having it revoked outright. The Times interviewed Franklin County Department of Social Services Director Nicki Perry about the situation. “I can’t recall during my (15 years as director) that a facility has had a shut down,” said Perry. Since that time, the state closed another Franklin County facility, Autumn Wind, though its penalties were not high enough for inclusion in this list. Perry said her team helped to relocate the former residents of Essex Manor as a result. “If they were a Franklin County resident, we worked with them or a family member or point of contact, and if they were not a Franklin County resident, then we worked with their residing county to identify appropriate placement for them,” she told The Times. During its final months of operation, the facility did not have heat in one wing of the building during the winter. A later construction visit found filthy carpets and damaged furniture, poor outside maintenance, lack of privacy in bathrooms and bedroom windows that someone from outside could easily see into, according to public records. Essex Manor received seven citations with fines between Oct. 15, 2015, and Sept. 21, 2016, even though it had ceased operations prior to any of these citations. No payments have been made on any of the citations, which could affect the former owners if they attempted to reopen. Citations included failure to report or investigate an injury, failure to communicate with residents’ health care providers, failure to supervise a resident who assaulted staff and other residents, failure to ensure an administrator was handling basic responsibilities for health and safety, failing to administer diabetic medications to patients who had to be hospitalized and, neglecting residents while not providing necessary climate control and not ensuring a patients’ multiple medications were available. 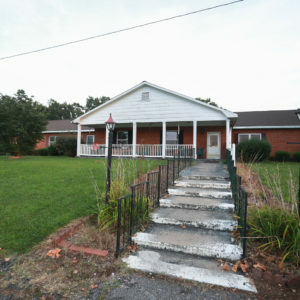 Cornerstone Living was a 50-bed adult care home operating just south of Bryson City. While operating with three or four stars for several years, problems emerged in early 2015, and the facility operated with zero stars until it closed on Sept. 15, 2015. The facility had been suspended from admitting new residents in, but that restriction was lifted in March 2015. Because it was Swain County’s only assisted living facility, Swain Department of Social Services staff were involved in finding a new home for residents. 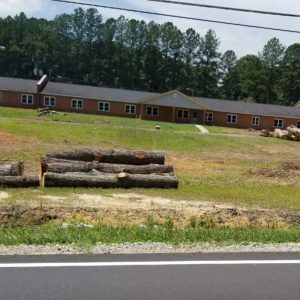 Prior to Cornerstone’s closure, the site and rights to those beds were purchased by Hickory-based Meridian Senior Care, which is currently building a new facility on the site of the old one. In December 2015, two months after closing, the facility paid off a series of fines levied in April 2015 after an earlier inspection found that residents had to share glucose monitoring equipment and lancing devices without proper disinfection. Other citations issued at the same time covered problems with giving medicine to several residents and failure to follow up on residents’ medication needs after behavior changes. A second set of much higher fines was issued in May 2016 several months after Cornerstone had closed. These citations addressed the ultimate failure to fix the previously identified problems with giving medication. These fines, totaling $47,000, have not been paid, according to state records. Meridian did not respond to a request for comment prior to publication of this article. 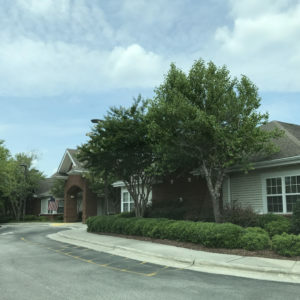 Sunrise Assisted Living at North Hills operates a 160-bed facility in an upscale residential and commercial neighborhood in northern Raleigh. An annual inspection in March 2017 raised the facility back to three stars out of four, with a 98 out of 100 score. However, it had dropped to two stars in July 2015 after problems were found during a state inspection, and to zero stars after a negative follow-up. Inspections in 2016 had it operating as a one-star facility. Wake County Human Services adult home specialists first identified serious problems in mid-2015 during a complaint response and investigation. The complaints at the time related to inadequate supervision of a disoriented resident who left the facility without the staff’s knowledge. A similar incident with another resident resulted in an additional fine and a requirement for additional staff training. The state suspended new resident admissions to Sunset Assisted Living of North Hills in September 2015, but this was lifted in November 2015. Following an appeal, the fines were settled and paid, with training completed by late 2016. In September 2016, the company was again cited for failing to supervise residents, as well as not fixing problems identified in earlier citations. Inspectors levied a second and steeper fine of $61,500 for failing to fix the locking mechanism on the special care unit exit doors, which allowed residents to leave without the knowledge of staff. Special care units operate within adult care homes to work with residents having severe cognitive disorders. The company paid these fines in full as of December 2016. Wake County Human Services officials told Carolina Public Press they were prevented from discussing Sunrise Assisted Living at North Hills directly, on advice of the county attorney, though they did discuss their general procedures. Virginia-based Sunrise Senior Care, which owns the facility, did not respond to requests for comment. Franklin Manor Assisted Living Center, which opened in 2013, is a 54-bed facility with a designated special care unit dealing with residents having dementia or other cognitive disorders. The facility was rated with three out of four stars until 2015, but issues emerged during an annual inspection and follow-up surveys, resulting in it operating with one star, as it did for most of 2016 through the end of June. The state suspended new resident admissions to Franklin Manor in December 2015, but this was lifted in April 2016. The N.C. Division of Health Service Regulation eventually issued financial penalties and citations against Franklin Manor in late 2016. All fines have been paid in full without recourse to appeal or settlement. One citation was for the facility’s failure to provide two-person assistance to a patient whose leg was lacerated as a result. Another was for failing to follow-up with a patient after contacting emergency medical services about a fractured hip and knee. Although it is not clear from state records, The Franklin Times reported that the case involved a resident who fell out of a wheel chair. A few months later, the state cited Franklin Manor for not promptly following doctors’ orders, both for medical screening and providing residents with walkers. The latter situation resulted in falls with injuries. A final group of penalties were for failure to abate problems with administering medication and doctor-ordered supplements to residents and for failure to provide residents with adequate personal care, which resulted in scrapes and bone fractures. In 2016, Franklin Manor was one of three Saber-owned homes targeted by a class-action lawsuit, along with Gabriel Manor of Clayton, which also appears on this list. According to an April 28, 2016, article in The Franklin Times, an attorney representing two former Franklin Manor residents filed the suit in Franklin County Superior Court. They accused Saber of understaffing both facilities, as well as one it operates in Charlotte. They blamed the low staffing levels for poor care and falls that resulted in hospital visits. They pointed to issues identified by Franklin County Social Services workers and the N.C. Division of Health Services Regulation as supporting their claims. A fellow plaintiff’s attorney told The Times that a major goal was to force Saber to increase staffing levels. Not all of the problematic issues found by inspections resulted in fines, though the state may still be contemplating fines based on earlier problems. However, some of these additional issues are prominent in the lawsuit. This includes a finding in late 2015 that personal care aides and medication aides were doing double duty as food service providers, in violation of state regulations. As a result, providing food was erratic and some residents went for periods of time with no food, The Franklin Times reported. The same thin staffing led to residents left sitting in their own waste, according to both the lawsuit and the inspections. The Ohio-based Saber Healthcare Group, which owns the facility, did not respond to requests for comment. 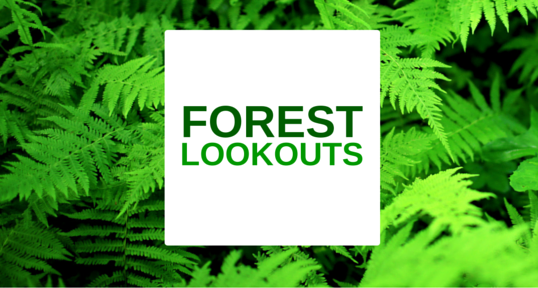 Although this listing focused on facilities that were severely fined, it also noted that some offenses were found that so far have not resulted in financial penalties. 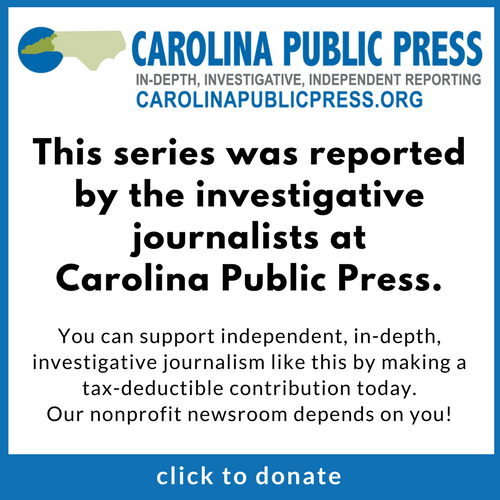 In other cases that Carolina Public Press examined, facilities were forced to close without ever racking up the types of fines or star-rating penalties that occurred elsewhere. One case that never would have made this list for numerical reasons stands out as a reminder that the dollars assessed against adult care homes don’t tell the whole story. Windy Hill Assisted Living in Morganton was accused, in 2015, of two cases of sexual abuse of residents by a staff member. 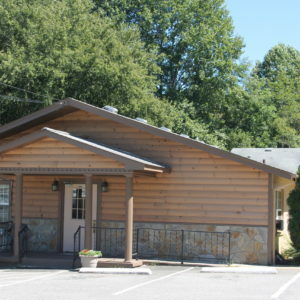 Located in rural Burke County, the family care home operated with six beds or less. Initially, it was fined $6,000 in the case. Following a settlement, that fine was eliminated on the condition that Windy Hill permanently close. It remains closed today. Carolina Public Press has asked the Burke County Sheriff’s Office for records related to this case and how it was handled as a law enforcement issue. That information was not made available prior to publication.